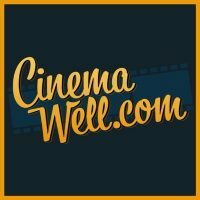 Introducing CinemaWell.com, a revolutionary social platform of online cinemas, which brings independent filmmakers together with unlimited audience from around the globe at one place at the same time! The platform serves as a perfect place for showing premiers! The future of cinema is now! CinemaWell.com introduces Internet Video Co-Viewing (IVCV), a new way of distributing video, which allows an unlimited number of online users to gather together and view the same video content in one virtual theater at the same time. The IVCV experience is far superior to traditional independent viewing experience offered by current platforms such as YouTube and Vimeo. Due to IVCV, CinemaWell.com implements DATING feature! – Seriously? Any money can be made? – Oh, yeah! Watch movies and get paid! Marc Ivanchak, Founder and CEO of Wego Ministries, Grace Life Outreach. "1. CinemaWell.com pays viewers for watching movies/online content. 2. Internet Video Co-Viewing, revolutionary way of distributing video, which allows an unlimited number of online users to gather together and view the same video content in one virtual theater at the same time. 3. Social platform of online cinemas. 4. Film-makers benefit from the online distribution of film content, a worldwide audience, feedback from viewers, and targeted marketing of future films.